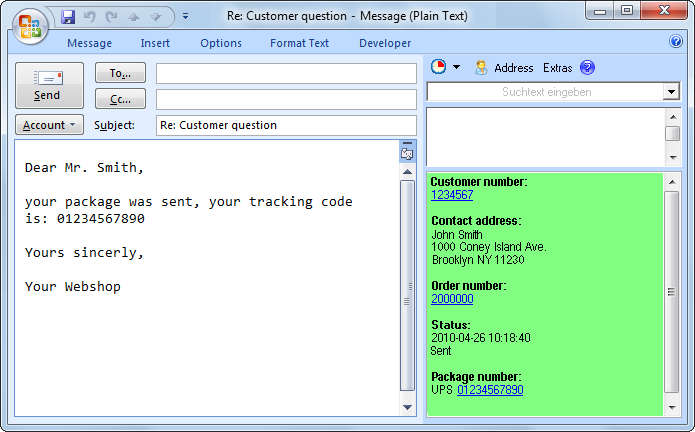 We’ve just published the new version 4.10 of our text modules software ReplyButler for Outlook. The new release allows you to use the Outlook 2010 “Social Pane” while using ReplyButler. So far this was a problem, but that’s now resolved. Furthermore the new release fixes a problem with the attachment-forgotten-warning. If you were connected with an Exchange server, you might have seen this warning even though you didn’t forget the attachment. More information about ReplyButler can be found on the Outlook text module page. A quick update for Easy2Sync for Outlook because the previous release could cause Easy2Sync to crash right at the start, if Outlook 2010 64-bit was used. More information about Easy2Sync for Outlook can be found on the Outlook sync page.